If you haven't seen the look of Quartz surfaces in the past few years, you are missing out! Quartz counter surfaces have come a long way from that pebbly look that many people know. Now you can have quartz counters that look just like marble or granite. Silestone by Cosentino is one of the reputable quartz manufacturers that have developed some amazing natural looking colors. From Silestone's Nebula Alpha Series, the Calypso is quite sophisticated. It uses a deep grey base with soft white veins to mimic natural Soapstone. Calypso is also available in Silestone's Suede finish​—​a matte finish that is great for hiding fingerprints. The mustard yellow veins give a subtle burst of color throughout the slab. The pattern repeats on a large scale, so the slab is not as busy. Silestone has formulated a handful of colors that have the larger repeat to attract even more consumers to the quartz arena, who may not have been crazy about colors with more uniform veins. Silestone Lyra was one of the first veining colors that Silestone came out with. It is a nice interpretation of Carrera Marble. These colors are for practical households that require a bit of style with functional properties. This is quartz, so no need to worry about etching or staining, like real marble. Do remember that quartz is not indestructible: it's still possible to damage it. Quartz comes in large slab form, just like granite or marble. This photo is a fabulous illustration of how Silestone's larger vein pattern is dispersed throughout the slab. The Helix has the same coloring as the Lyra, but with a more spaced repeating pattern. Silestone offers several colors with this new larger pattern—a great innovation from the largest quartz company. 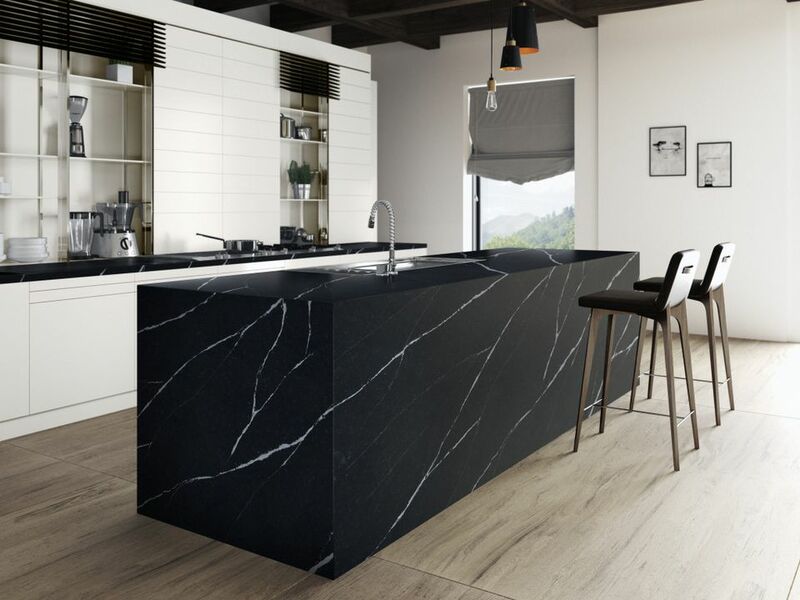 We have seen Silestone's version of Marble, but what's in it for the Granite lovers? Silestone Zirix is from the Stonium Series. This is a color that imitates granite for people looking for a more traditional color. The blue-ish chunks are nice with the soft background of beige and browns. White granites are popular because of the light and bright look. It can be used to lighten up a kitchen that uses dark cabinetry or dark flooring, but can also be used with whites or painted cabinetry. Arctic is from Silestone's Ocean Series which takes inspiration from, none other than, the ocean! We love the Arctic because of its natural granite looking veins and light color. It makes you want to grab your parka and cuddle up to the fire. Another granite imitation from Silestone, the Halley, features repeating brown veins. Because the quartz is a very consistent in color, it hides seams exceptionally well. Another great new look from the largest maker of quartz surfaces. The Silestone Zynite is another color for granite lovers. A dark brown mixed with white and creamy veining. Another color that works great to hide seams. 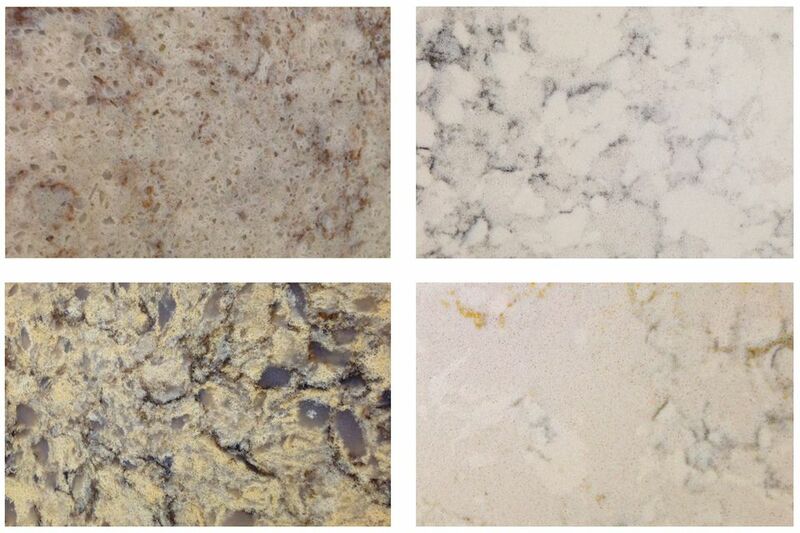 It's impossible to mention all of the wonderful colors that Silestone is producing today. But with so many great colors, everyone will be able to find an amazing color to suit their unique style. Not all quartz brands are considered equal quality, so know what you are buying before you commit. You can't go wrong with Silestone.